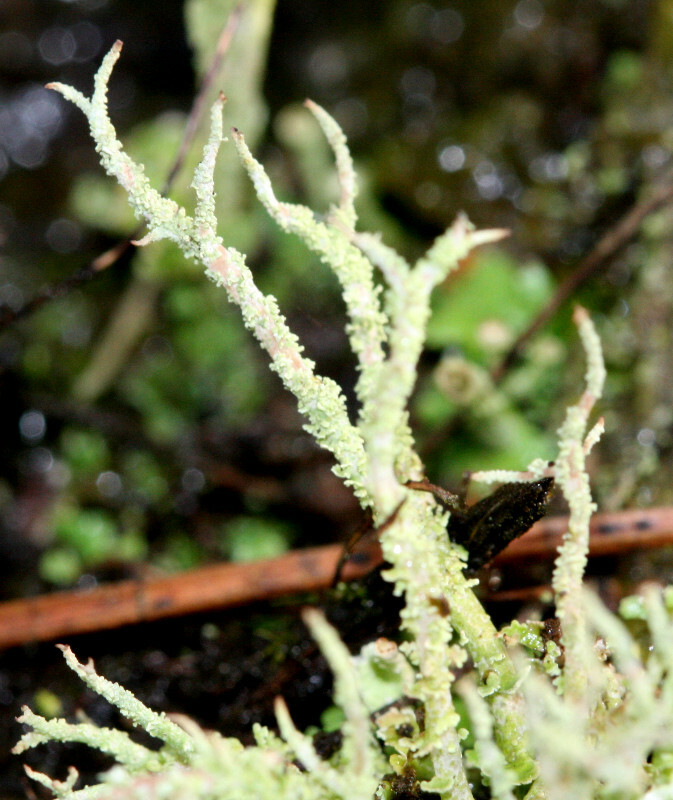 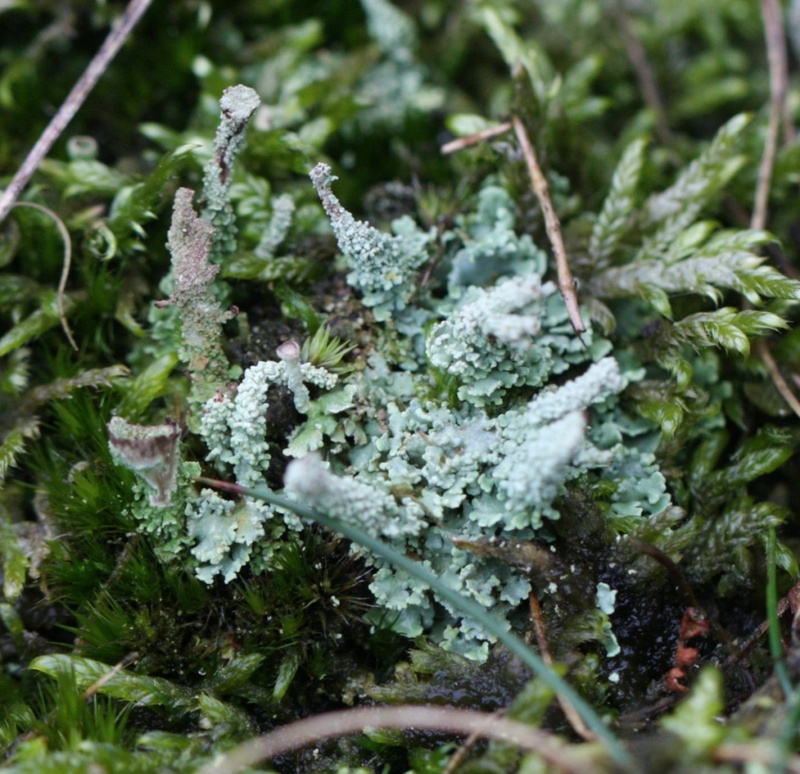 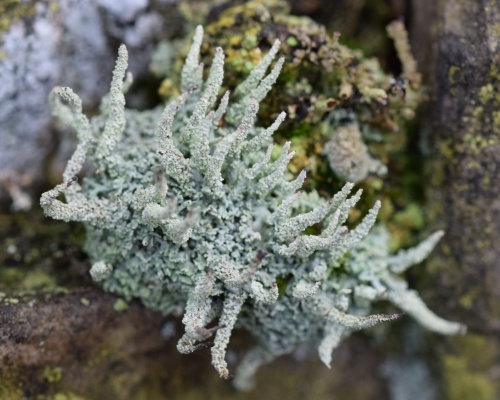 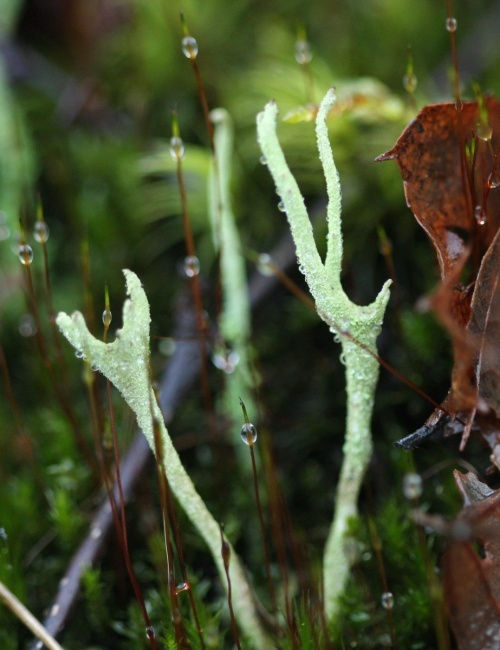 This is a grey green lichen. 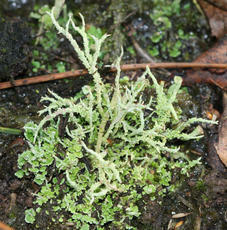 Podetia tall, erect, very variable in shape, usually with one or more erect branches. 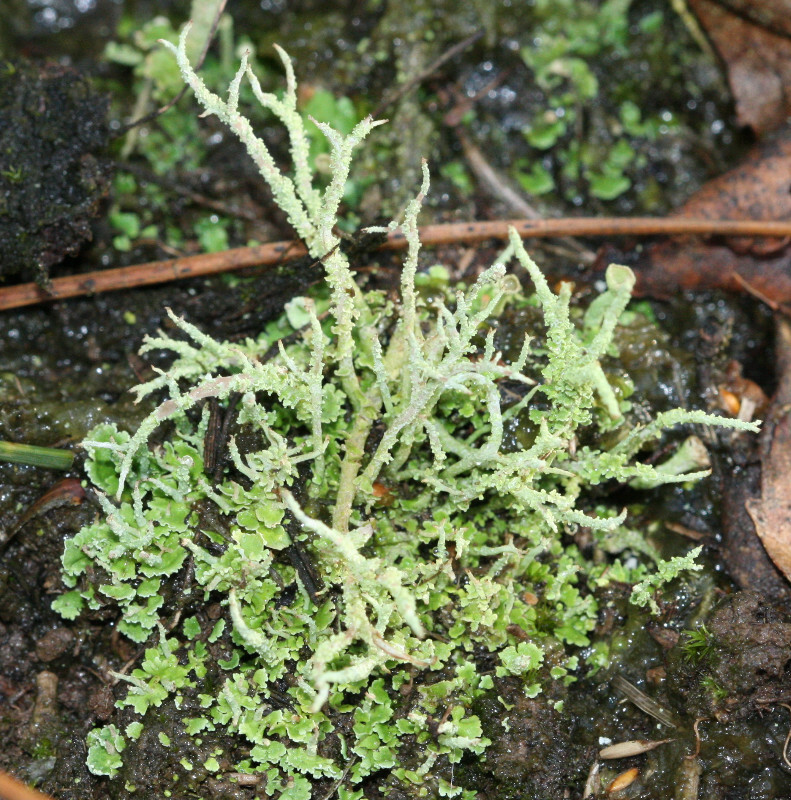 The overall appearance is of a very granular coated plant. 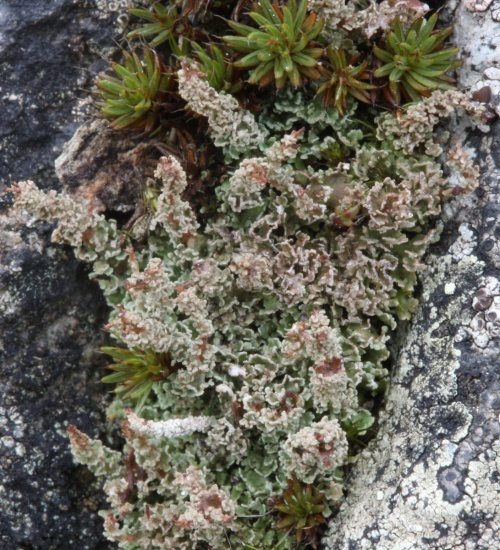 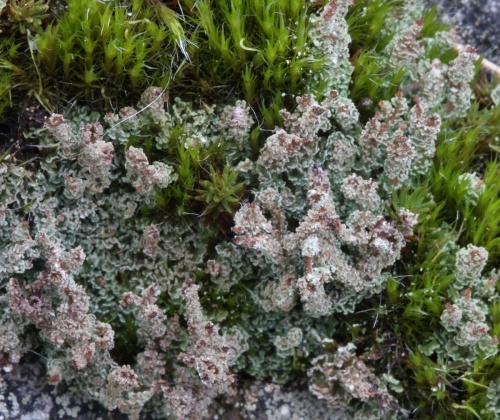 Found in woodland, in heathland and on moorland, on rotting wood, on degraded peat and on boulders. Widespread and locally common in Britain.